I had also finished this tote a few days back but hadn't gotten around to clicking pics,did it finally today ..........what do you think??? The pleated detailing is pretty cute & believe me this baby is HUUGE!! 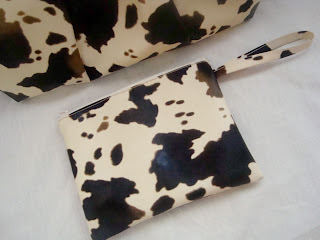 Added a matching zippered wristlet too which comes free with the bag.YAY!!!!! Have added loads of pockets including my fav -zippered pocket. 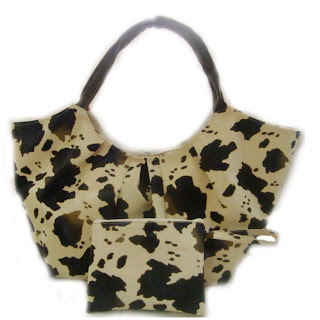 The bag itself closes with a magnetic snap...............it's shape doesn't allow a zipper! I wanted to list this today but I want to add a pic of somebody holding it..............the true shape & size will be more prominent then! I love the stye of the bag and if it's big even better!